The Supreme Court once declared, "This primary role of parents in the upbringing of their children is now established beyond debate as an enduring American tradition." Wisconsin v. Yoder, 406 U.S. 205 (1972) at 232. So, how are we doing with that "enduring American tradition" today? Unfortunately, not so well. Even with advances in some areas in recent years, other areas remain a real problem for parents who just want to protect and provide for their children as they think best. We have gathered stories from across the country to give you a look at the big picture in each of four key areas involving parental rights: medical settings, education, child welfare cases, and when parents have a disability. This report shares what we found in each area. General Direction: Things are getting hotter (more contentious). Over the last couple of decades we have seen the emergence of a lobby that believes in giving power to "experts" to seek the good of all children. 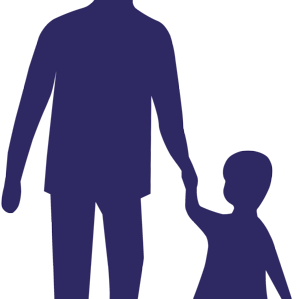 Nevertheless parents continue to defend their right to make the best individualized decisions for their child. We are seeing that tension between parent and professional become more entrenched each year. This year has seen a rise in the number of appeals in which an earlier guilty verdict from a charge of "shaken baby syndrome" or "medical child abuse" has been thrown out. These appeals are rising as reports and expert witnesses show flaws in the science behind those convictions. 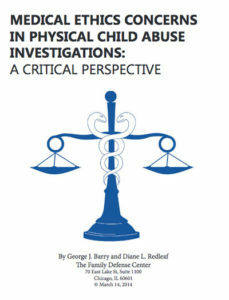 Parent and child advocates like Diane Redleaf at the Family Defense Center in Chicago and law professor Maxine Eichner at the University of North Carolina are exposing the legal and ethical issues that arise when doctors act in a forensic role (gathering evidence against parents) rather than in the traditional care-giving role of their field. As wonderful as modern medicine is and as helpful as most doctors are, they are not perfect. Sadly, medical error is the #3 cause of death in our country according to a 2016 report. And even the best doctors are rarely in a better position than a loving parent to make the difficult decisions for a child. The family of Justina Pelletier found that out the hard way in 2014 when the state of Massachusetts took Justina from them and placed her in the custody of Boston Children's Hospital. Doctors there were free to enroll her in clinical trials (without parental consent) for the somatoform disorder diagnosis they had given her, rather than continuing the treatment for Mitochondrial disease that her parents and doctors at Tufts Medical Center had been following. After public outrage following her parents going public, Justina was finally returned to her parents 16 months later, in much worse condition than when she was taken away. Her story reemerged in 2016 as the family filed suit in federal court against the state and the hospital who so severely injured their daughter. Isaiah Rider of Missouri was also taken by the state over a disagreement regarding his treatment. He was finally released by the state of Illinois who had been granted custody (though he was never a resident of the state until he went into foster care) when Lurie Children's Hospital (Chicago) doctors decided they knew better than his mom. While in foster care, Rider suffered sexual assault. He was finally returned to the custody of his grandparents in his home state, but wasn't fully released from Illinois care until June of 2016, months after his 18th birthday! As sad as it sounds, though, the Riders and the Pelletiers are the lucky ones. A family in New York found themselves facing allegations of child abuse after their infant died at the hands of New York doctors, according to a lawsuit filed last year. The suit alleges that the Long Island infant was pumped full of a "cornucopia of drugs," including Propofol, "the powerful sedative linked to Michael Jackson's death" according to a NY Post article. 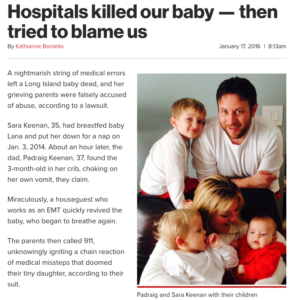 As the baby lay dying, Suffolk County social workers and a "pediatric child abuse specialist" were accusing the parents of shaking her to death, a charge the parents contend was fabricated to cover up the hospital's own serious errors in the child's treatment. The couple's two older children were taken from their care, but returned after two autopsies of the baby showed no signs of criminality. 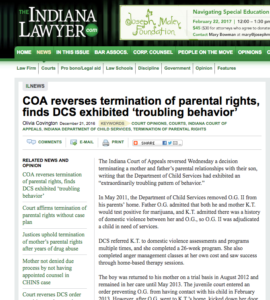 The child protection agency kept its case open for 11 long months, and is now a codefendant in the suit. Two other cases, one in California and another in Tennessee, also saw the state take children away from loving parents over a disagreement in the child's diagnosis and treatment. Yet even as the evidence is showing more and more the fallibility of the medical profession, states are heeding doctors' and pharmaceutical companies' urgings to clamp down on parents' rights in medical decisions. California in 2015 notoriously passed SB 277, a bill to remove from parents the right to make an informed medical decision regarding their child's vaccinations. Similar bills were introduced in 19 other states but failed to pass. Proponents of these bills, though, are undeterred, as evidenced by the number of states dealing with similar measures again this legislative session – already as many as 30. 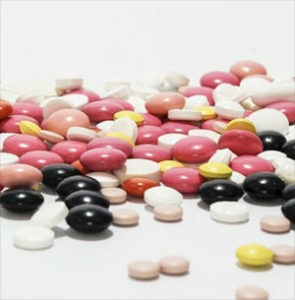 In the medical sub-category of psychotropic drugs, parental rights have seen a slight improvement. Though most psychotropic drugs are not approved by the FDA for use by adolescents, many localities have nevertheless required their prescription to students who misbehave in school. Maryanne Godboldo of Detroit made national headlines 3 years ago when she barricaded herself and her daughter in her apartment and refused to let the city force her 13-year-old to receive Risperdol. The ensuing standoff brought out the SWAT team, a tank, and the national news. Maryanne's own case was finally resolved this year when charges – which had been filed or appealed 5 separate times – were finally dropped. Sadly, they were dropped only because Godboldo suffered a massive aneurysm and is not expected to recover from her current comatose state. But in the state of New Mexico, real progress has been made. That state in 2015 passed a law prohibiting a parent's choice to withhold psychotropic medications from being used as the sole basis for removal of a child. A New Mexico mother in Godboldo's situation will no longer have to barricade herself in her home in the first place. If she determines that Risperdol is dangerous, that New Mexico mom can rest easy in the knowledge that no one will be coming for her child. General Direction: Things are getting worse. As with medical care, the area of education also sees the tension between parents and a group of professional elites who believe they can better make decisions for all children. This mindset can be seen in a Mississippi bill introduced last year which would require public school teachers to give parents a grade. No, not their children's grades – but an actual grade of their own. Are you involved in your child's education? Attend conferences? Don't give the teacher a lot of push back or ask too many questions? Then you would get an "A". On the other hand, if you cause too much trouble, you could get a failing mark. The bill actually passed the Mississippi House, but fortunately did not make it into law. The march toward elitist control is a scary one, though. In 2015 the Administration argued in Romeike v. Holder that the right of a parent to decide the kind of education their child will receive is not a human right sufficient to grant refugee status to those robbed of it. The right, articulated in the Universal Declaration of Human Rights 1948, was internationally adopted directly to prevent a recurrence of Hitler's plan to indoctrinate German students by requiring that they all attend the Nazis' state-run schools. Ironically, the Romeikes were fleeing Germany's use of the very same law that precipitated that declaration in the first place. Most startling of all, the U.S. Supreme Court agreed with the Administration in the Romeike case. Your right to choose your child's education is not sufficient for a refugee – will it still be sufficient for you? Before you say "Yes" too quickly, consider that one school system chose to ban parents from walking their own children to school. And in Virginia, Governor Terry McAuliffe vetoed a bill that would require schools to alert parents when a required reading assignment will contain sexually explicit material. Parents who championed the bill were able to persuade lawmakers of the need when, in multiple instances, school officials and lawmakers themselves had to ask parents to stop reading sample passages because they were "obscene" or "indecent." Yet the governor decided that warning parents of the material would interfere too much in the education process. Or consider the state of New York, which apparently has determined that, while homeschooling is clearly not against the law, it is also not to be tolerated. Mother Kiarre Harris decided in December 2016 to remove her two children from Buffalo's failing schools. Per state law, she filed all of the required paperwork with Buffalo City Hall and told the school she was beginning to homeschool the youngsters. 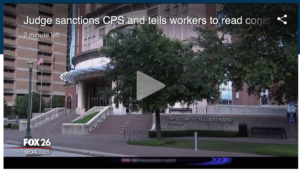 A few weeks later, Child Protective Services and the police showed up to take her kids. When she wouldn't reveal where the children were, she was arrested and jailed on obstruction charges, while her children were located and taken to foster care. Home School Legal Defense Association recently filed suit against New York for routinely doing this very thing: charging "truancy" and taking children away from parents who have fulfilled all of the statutory requirements to teach their children at home. New York law permits parents to choose this educational alternative, but the state's message is clear: if you make that choice, we will fabricate a reason to take your child. General Direction: Things continue to be a mess. The Vermont Supreme Court overturned a TRP order in Caledonia County at a time when "more children than ever are being taken into stat custody," according to the Burlington Free Press. Judicial department data show the state has used the petitions to take custody of more than 860 children over five years – or an average of three children a week. Three children per week in a state the size of Connecticut is hardly a "last resort." Other current concerns include a Texas case where child services workers had to be sanctioned by a judge for lying in court to illegally remove a child from her father. And in North Carolina, a young man sued the child services supervisor "who adopted him, only for her and her boyfriend to spend several years abusing him." In short, parents are losing custody without cause in far too many cases – and often losing their permanent parental rights, as well. Yet the lack of a sound legal standard leaves the door open for judges and child welfare workers to continue the system as it is. The system is failing children, failing families, and failing our country as a whole. Parents with disabilities have been left unprotected since the shameful Buck v. Bell Supreme Court decision of 1927. Because of that ruling, which allows states to "prevent those who are manifestly unfit from continuing their kind," 35 states today include disability as grounds for termination of parental rights. Ten states and the District of Columbia allow physical disability as the sole grounds for TPR – even without evidence of abuse or neglect[i]. It is perhaps no wonder, then, that Massachusetts was caught committing "extensive, ongoing violations" of the Americans with Disabilities Act in their removing of Sara Gordon's baby simply because Sara has a disability, according to a letter from the U.S. Department of Justice last year. American society as a whole is no longer comfortable with the idea of taking children from parents with a disability simply because of their disability. We are outraged by stories like Sara's, or like that of the Missouri couple who lost their baby in 2010 because both parents are blind. (Their baby was returned 57 days later, but valuable bonding and nursing time had been lost.) But to date the laws that would protect these parents have yet to be passed. [i] Stats in this paragraph from Christopher and Dana Reeve Foundation, "Know Your Rights Toolkit" (2016), pp. 3-4. A proposed Parental Rights Amendment to the U.S. Constitution (PRA) would provide that "the liberty of parents to direct the upbringing, education, and care of their children is a fundamental right." By setting a firm constitutional standard to protect these rights, the Amendment would provide clear direction for courts, doctors, child welfare workers, and other government officials. Racial bias would diminish as fewer cases are left to the discretion of a judge or other state agent. Another provision of the proposed Amendment would protect the rights of persons with disabilities so that mothers like Sara Gordon never lose their children in the first place. The proposal states, "The parental rights guaranteed by this article shall not be denied or abridged on account of disability." To donate to make the PRA a reality, click here.